The Yoga C630 WOS runs Windows 10 on the latest Qualcomm Snapdragon 850 Mobile Compute Platform and sports an integrated Snapdragon X20 LTE modem. Lenovo claims the device offers over 25 hours of local video playback on a single charge. Along with the Yoga C930 and the Yoga Book C930, Lenovo announced the Yoga C630 WOS at IFA 2018 in Berlin, Germany. WOS stands for Windows on Snapdragon. This should already give you a clue. 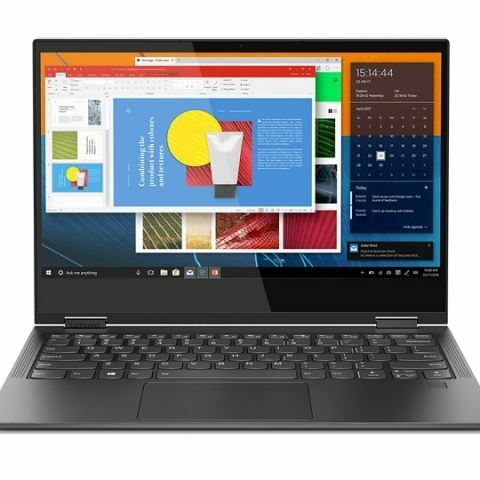 Presenting it as its “always-connected PC”, Lenovo says the Yoga C630 is the first device to be powered by the latest Qualcomm Snapdragon 850 Mobile Compute Platform. According to Lenovo, the Yoga C630 WOS features an integrated Snapdragon X20 LTE modem, which supports up to 1.2 Gigabits per second speeds on LTE Advanced Pro. The convertible aims to free users from the risks of unsecured public Wi-Fi networks and the hassles of smartphone hotspots. Lenovo claims to offer a 30-percent bump in performance over previous Windows on Snapdragon devices with the Lenovo Yoga C630 WOS. The device runs Windows 10 out-of-the-box and has support for an optional Lenovo Pen digital stylus. It also features Windows Ink for a more natural on-screen writing and drawing experience. The Yoga C630 WOS features a 13.3-inch Full HD IPS touchscreen display. The body sports a polished aluminium cover and weighs 1.2 kilogrammes. Its profile is 12.5 millimetres. The Yoga C630 WOS employs a fanless cooling mechanism for quiet operation. According to Lenovo, the Yoga C630 WOS is capable of offering over 25 hours of local video playback on a single charge. In the EMEA region, the Yoga C630 WOS starts at 999 EUR (Rs 82,300 approx). Lenovo also announced the Yoga C930 and the Yoga Book C930. The latter ditches the keyboard entirely to make way for an e-ink display. The company claims that the Yoga Book C930 is the world’s thinnest and lightest dual-screen device that weighs merely 775g and measures 9.9mm when its lid is closed. when will lenovo yoga 2 pro will come in indian market?? Confused between Lenovo yoga 530 and yoga 730,so plz suggest between these two or any other option also.